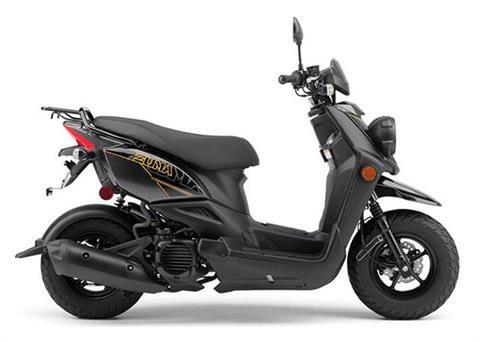 The Zuma 50F features a bold design and highly efficient, reliable performance for non-stop fun. MASS CENTRALIZED: Fuel tank positioned low in the center tunnel provides centralized mass and extra convenience – the tank can be refueled without opening the seat, unlike many scooters. 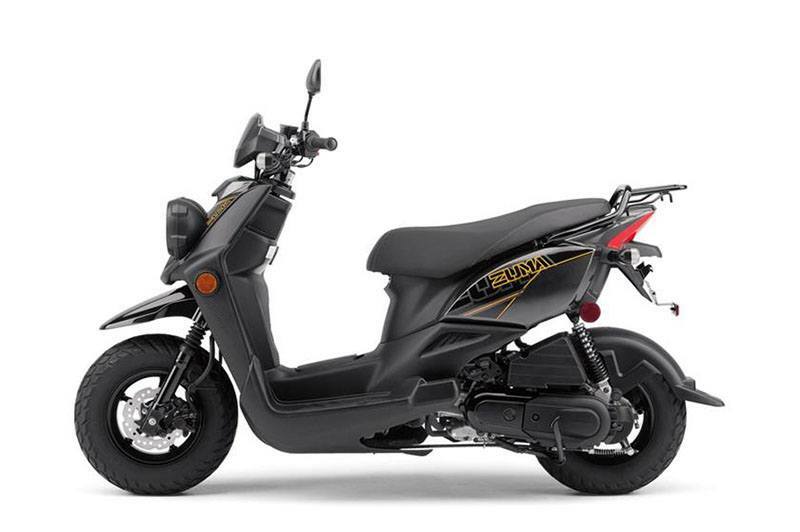 UNIQUE STYLING: Wide, bar-type handlebars emphasize the tough, off-road styling. 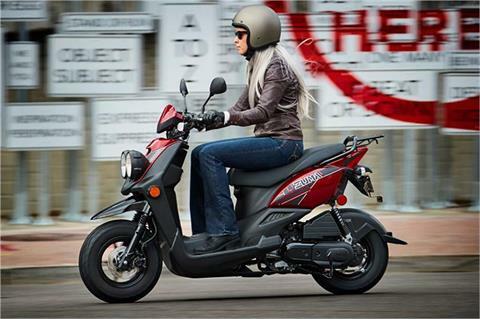 AWESOMELY EFFICIENT: The Zuma 50F achieves fuel economy up to an estimated 132 mpg with a fuel tank that holds 1.2 gallons of gas. 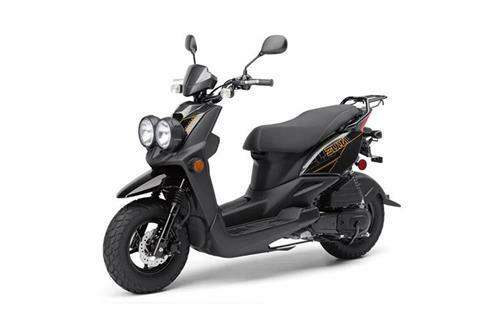 ELECTRIC START: Pushbutton electric starting gives ultimate ease of operation. ON-BOARD STORAGE: The under-seat trunk is large enough to hold an XL full-face helmet, groceries, etc. (23-liter capacity). UNIQUE ZUMA STYLE: Twin headlight design maintains the unmistakable Zuma 50F visual identity, with turn signals equipped with clear lenses for a sleek look. 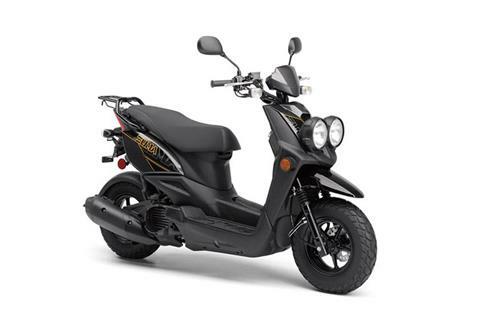 READY FOR FUN: Tough, yet sporty 4-stroke 49 cc scooter makes going places fun, even commuting to work or school. MODERN POWERPLANT: Fuel injection provides smooth, seamless power – and nearly instantaneous starts. DIRT BIKE-INFLUENCED STYLING: Sharp styling and twin headlights update the original “tough offroad” image of the Zuma 50F. 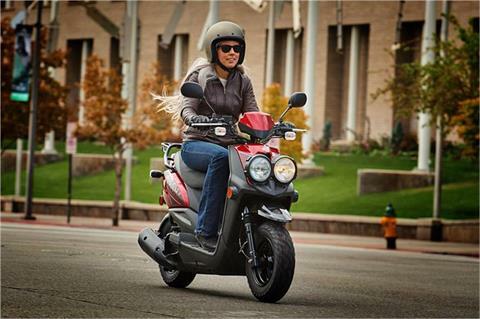 CHUNKY, AGGRESSIVE TIRES: Fat tires give Zuma 50F that “go anywhere” look. SCOOTER PRACTICALITY: Open and roomy ride atop the Zuma 50F’s stepped seat, along with lots of locking storage underneath it, with added conveniences like an inner pocket and fold-out hook.